20 years and more than 126 475 bookings! We must be doing something right most of the time. Struisbaai has magnificent beaches and sunsets. Contact us today to rent a property! With its great views and friendly people, Struisbaai is the place to be! On 2 January 1999 we drove into Struisbaai for the first time. The beautiful coastal village greeted us with a warm smile and stole our hearts, so we decided to make this town our home. We sold our house, packed up all our belongings in Johannesburg and on 8 March 1999 arrived with 2 kids, a dog and a lot of hope and faith for all the possibilities that lay ahead. In August of the same year Struisbaai House Rentals was born. 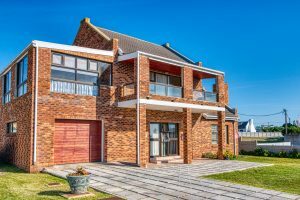 The small rental agency grew with the town to what is today a trusted family business that has helped countless holidaymakers enjoy the Struisbaai sun and house owners get a good return on their investment. The kids have grown up, the dog is now a cat but for the last 20 years we have never changed our commitment to our owners and tenants, and we look forward to being a trusted partner for many years to come. Not sure about which property to rent? The property had a really great view of the lighthouse as well as the ocean. Would definitely recommend visiting Struisbaai. Sandra and her team deliver an extremely professional and efficient service. Best choice when looking for a rental in Struisbaai.